Whenever I think about the written channeled reading you recently prepared for me Katie, I marvel at how powerfully your message resonated with my life. Since the day you sent me the reading, I have re-read it countless times and continue to be moved and inspired by your words. Considering that you prepared this reading for me without any knowledge of the challenges I face or so much as a single question from me – I continue to be astonished by what can only be described as your Divine gift. I am deeply grateful to both you and your magnificent angel guides. Together, you have reached across time and space to comfort me at a time when I most needed comforting with words of compassion, unconditional love, encouragement and hope. Thank you so very much for caring and bless you always. I received a beautiful reading from Katie & her powerful guide, there was so much insightful messages & i am still revelling in the amount of clarification & guidance i received from them both, subjects that i kept deeply to my heart..Your wonderful guides are from the highest spheres & felt blessed to be given so much, I would highly recommend Katie she’s amazing & truly a gift. The evening with you and your beautiful guides was an incredible experience for me, humbling and very healing. I felt very safe and extremely loved. It was such a warm feeling like being in love and being hugged all at the same time! You immense healing qualities shine through, you ability to ooze love and allow the person to feel safe, allowing them to tune into their questions and completely fully experience the joy in speaking to your guides. With your love and approachability it will give everyone the gift of an amazing experience and connection to spirit and the answers to their questions. Katie is a gentle, open hearted angel. I am still in awe following my reading. Shimlaya is amazing. I asked for the reading at a point where I needed reassurance, but I wasn’t sure what to expect, or what to ask, I was simply open. What a beautiful experience, I have never received anything so affirmative before. What really made the difference was how personal and so specific the experience was. If I ever had any doubts (even tiny ones!) before about angelic guidance, they were dispelled completely by this experience. I am feeling hugely blessed & very grateful to Katie for inviting myself and others to receive her gifts. She is a blessing and I look forward to nurturing our relationship. I have had several readings with Katie and I am in awe of her extraordinary ability to channel messages of loving guidance from the angels. Each time, Katie has communicated messages which are not only immensely encouraging but they are often startlingly specific. As a result, my faith has become so much stronger and I now feel a much closer connection to my spiritual guidance. I am very grateful to Katie for sharing her incredible gift. 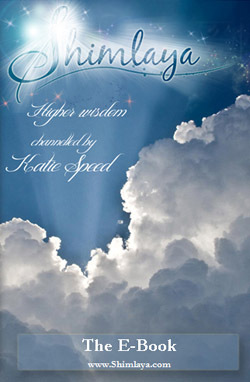 I would highly recommend one of Katie’s readings. Having Katie Channel her guides was just an awesome experience, I was made to feel so at ease & that no question was too much trouble. The information was both inspiring & enlightening helping me to ‘see’ & fully understand what was happening for me right now but also gently encouraging me to ‘let go’ of thoughts & beliefs that are no longer serving my highest good. When Katie was helping me to understand some of the messages that her guides had given me she was so positive & enthusiastic it was uplifting & really helped me to step out of myself & see what was going for a higher perspective. I’m to blessed that Katie was able to bring this information through for me, she is just amazing! I found my experience with Katie giving me a reading channelled by her guide Shimlaya beautiful, comforting, powerful.The whole time I felt the energy of the higher presence, and I was never in doubt that the wisdom being relayed was from the highest guides. All of my questions were answered clearly and comprehensively and Katie’s manner was warm, open, and comforting. As well as answering all my questions Shimlaya imparted knowledge about someting very close to my heart that I hadn’t asked about and gave me guidance about the next steps on my life path. Katie, thank you for the gifts you share with the world so openly and generously – you are a sweet and beautiful soul and I will definitely be asking for guidance from you and Shimlaya again as I walk this journey of life. Katie is such a soft sweet energy when she is doing a reading with you. Shimlaya is gentle and non intrusive. It was such a delight to work with both Katie and her guide. My message was so direct and confirming for my life at this moment. Her guide was so patient and willing to help answer any questions I had. The feeling of peace and compassion, comfort and love were astounding. I highly recommend a reading with Katie Speed and her lovely guide Shimlaya. I live in Georgia-USA and had a long distance channeling done by Katie Speed. I was very impressed by her abilities and very pleased with the results. She (her Guides) was right on with the information that was given to me. I would have another session with her in a heart beat.